Rothman, who became CEO, and his new team launched first in the University of Miami and the University of South Florida (Tampa) communities last spring. The initial universities were chosen because they differed greatly in size, geographies and culture. “We launched with an idea that we will build this marketplace to simplify the lives of students, parents and landlords,” said Rothman, who worked in New York including at a startup, was a portfolio manager at Endeavor Miami and VP of Strategic Initiatives at Open English before taking this on. And the marketplace may be just the beginning. 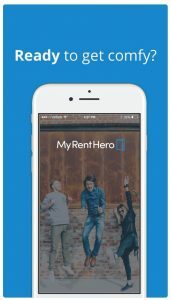 Throughout the growth, MyRentHero has been collecting valuable data that has led the team to build new products for the platform, such as a popular sub-lease feature. Through their students, they’ve identified a handful of hyper-focused, student-centric features that will roll out over the coming months. These new products can be revenue generators. MyRentHero is testing the concept, dubbed Blue Door by MyRentHero, with a couple of single family homes in the UM area and is hoping to take the model to other markets. For some properties, it could offer co-living, where students could rent separately by the room. “We are building a fully inclusive marketplace that really is a solution for students to solve their headaches for off-campus housing,” Rothman said. Here comes the investments: Initial funding from LAB Ventures got the team hired and the beta launched but last summer MyRentHero raised seed funding from MC Capital run by Martin Claure, a startup investor and real estate property owner who understood first-hand the pain points of dealing with leases with students (and often their parents). Rothman said he plans to raise another round later this year. This quarter MyRentHero is laser focused on its 12 campuses, as it is a very heavy season with campus events nearly weekly. Its 50 or so brand ambassadors are the boots on the ground, helping with marketing and branding as well as identifying properties – such as those hidden gems that are never advertised – and even acting as a salesforce, Rothman said. MyRentHero CEO Greg Rothman, right, with some of Atlanta’s ambassadors during training. Photo at top shows MyRentHero’s management team. The goal is to grow the footprint regionally, and MyRentHero hopes to launch in 15 to 20 additional markets in the fall, Rothman said. This may not be the traditional way to build a startup, but there has been a lot of progress logged in a short amount of time. 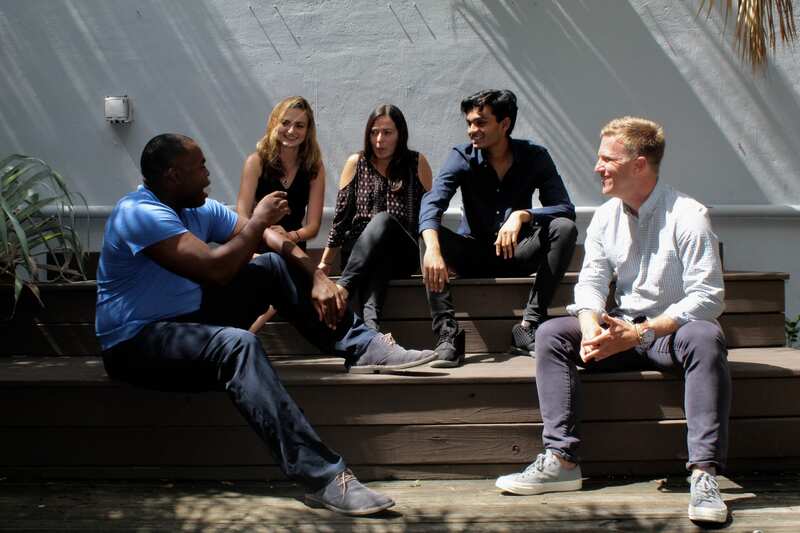 LAB Ventures is an outgrowth of the entrepreneurial co-working company The LAB Miami, and it has at least two other startups in development. Management team: Greg Rothman, CEO; Sara Vigil, Marketing; Armon Battle, Campus Development; Rahul Chittipeddi, Campus Development; Carlos Caceres, Product. Number of employees: 5 plus a tech team of 3 in Argentina and about 50 part-time ambassadors. Business model: Create a free marketplace, create zero friction, provide value to students and landlords, and then bolt on product offerings on top of that. Growth: MyRentHero serves 12 campuses in six cities. More than 400 multi-family complexes are available on its marketplace. Recent milestone: Testing Blue Door by MyRentHero, a portfolio of homes fully furnished and accessorized for the Gen Z student market by MyRentHero. Financing: Pre-seeded by LAB Ventures with a six-figure investment plus sweat equity. Last summer, MyRentHero received seed funding (amount undisclosed) from MC Capital, run by Martin Claure. Most requested features on MyRentHero: Close-in location, private bathrooms and subleasing. When a selfie stick just will not do, Shoot My Travel to the rescue. Have a startup spotlight suggestion? Email ndahlbergbiz@gmail.com and follow her on Twitter @ndahlberg.